Police in Darmstadt in the western German state of Hesse made an unusual discovery before taking a 19-year-old man into custody Tuesday evening. A baby king python had been hiding in the man’s trousers. In a statement, police said they were called to the scene of an altercation between two men shortly before 11 p.m. local time (2200 UTC). After detaining one of the men for drunken and aggressive behavior, officers say they noticed a “considerable bulge” in his trousers. The man then “shocked” those present by pulling out a 35-centimeter king python. The snake was promptly removed from the scene and the man brought to a police cell to sober up. It is unclear why the young man was transporting the reptile in such a sensitive area or whom it belonged to. 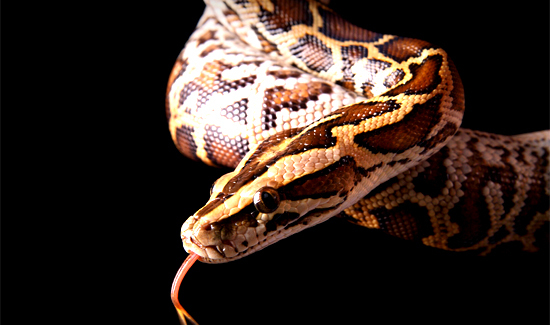 Police said the snake may belong to one of the man’s relatives. They have also been trying to verify whether the man’s unique transporting method contravened German animal welfare laws.